How were you introduced to horses, and what led you to pursue an equestrian career? Everybody in my family knows how to ride! My parents grew up eventing. After they had kids, my dad switched to show jumping and my mother to dressage. On Christmas morning we all mucked stalls together and then went for a trail ride in the afternoon. I was in Pony Club when I was six years old, and I was in it until I was 21. Both my brothers were in Pony Club, too. Despite growing up around horses, it wasn’t until I was in my mid-twenties that I knew I wanted to do this for the rest of my life. That happened in Texas on a 7,000 acre cattle and buffalo farm. 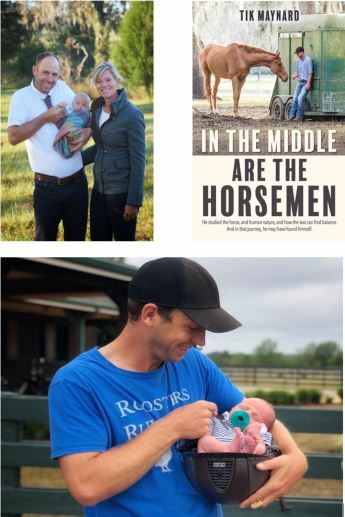 It was where I really internalized on a deeper level that a life with horses is about more than competing and riding, it is about relationship building and problem solving. It is where I realized that even if I could never ride again for some reason, I would still enjoy working and playing with horses on the ground, and that I could make a passion and a career out of it. You’ve worked with many different barns and trainers; what are the most important lessons you learned while working with different people and environments? That everybody is on their own horsemanship journey, and that I should be slow to judge if somebody is at a different place on their journey or does something differently than the way I do it. Why did you decide to re-enter the horse world by yourself rather than build off of your family’s already established business? If you could go back, would you do anything differently? I miss my family a ton! I miss our farm in Vancouver every single day. I would love to have stayed in Canada, but I also wanted to make my own way. It wasn’t the easiest decision, and it is still not, but I don’t regret it. Sometimes there are tough decisions to be made. Following my passion has led me to Ocala, Florida, and it is where I have built a business with my amazing wife, Sinead Halpin! (And now our son, Brooks, who was born September 4th, 2018.) Although the summers here get pretty hot, I look forward to everyday of working with horses! 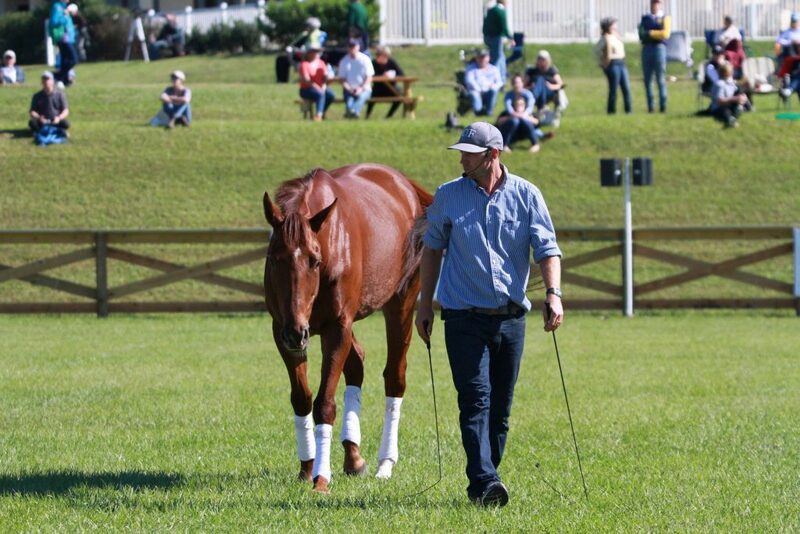 From eventing and natural horsemanship, to winning the Freestyle Division and the Empire State Success Story Award in 2015 and 2018 at the Thoroughbred Makeover, and show jumping, your experience spans a wide range of disciplines and interests. What drew you to each different discipline, and what are the teachings that carry over between them? Are there specific ideas that you reserve solely for one discipline? Number one I love playing with horses. Although the speed and power they lend us is a thrill, it’s the interaction and the training that I find addictive. The moment when I feel like we are both wanting to do the same thing, at the same time, is what I like. Like a school of fish, or a flock of birds, or a mare and foal, we turn together and we gallop together and we stop together. What do you look to for guidance when you find trouble training one of your horses or even in your own riding; what advice would you give a less experienced rider in the same situation? As soon as I begin to feel frustrated, or angry, or annoyed, I book a lesson. If I feel tired or hungry, I take a break. If I am getting bored, then I watch a training DVD, or attend a clinic, or watch a YouTube video to get inspired. The emotions that I like to have when I’m around horses are joy, excitement, concentration, intensity, relaxation. I try to remember there is always an answer, and if I can’t find it I need to get help. Also I remind myself horses can’t be changed, but they can be improved. And I like to read! A good book is cheap, and it can educate and inspire. Some of my favorite horse books are Horse Speak by Sharon Wilsie, A Journey To Softness by Mark Rashid, The Art of Liberty Training for Horses, by Jonathan Field, and The Faraway Horses by Buck Brannaman. You have a plethora of skills and interests outside of riding that people may not already know about, including juggling, tetrathlons, and being a published author. Do you use any skills or methods from your other interests and apply them to your horsemanship? I try to be a good student. Also I keep my curiosity alive and healthy, and my ambitions just out of reach. Has there been a horse you’ve worked with that was more difficult to train than others? How can you tell if a horse is not responding to the training methods you are using, and how do you adjust the way you teach? I deal with a lot of challenging horses, ones that are often called “problem” horses. The single biggest problem is always deciding if the problem is behavioral or physical. Often with a difficult horse, even one that our vet can’t find a problem with, there ends up being something physical that was bothering him. Ulcers, for example, are so common. I imagine how hard it would be to learn and focus if I was hungry, or uncomfortable, or in pain. Sometimes the problem is partly physical and party behavioral, and then it gets tricky. But the more I do it, the better I get. I haven’t met a horse yet that couldn’t improve, but sometimes it takes a lot of patience. 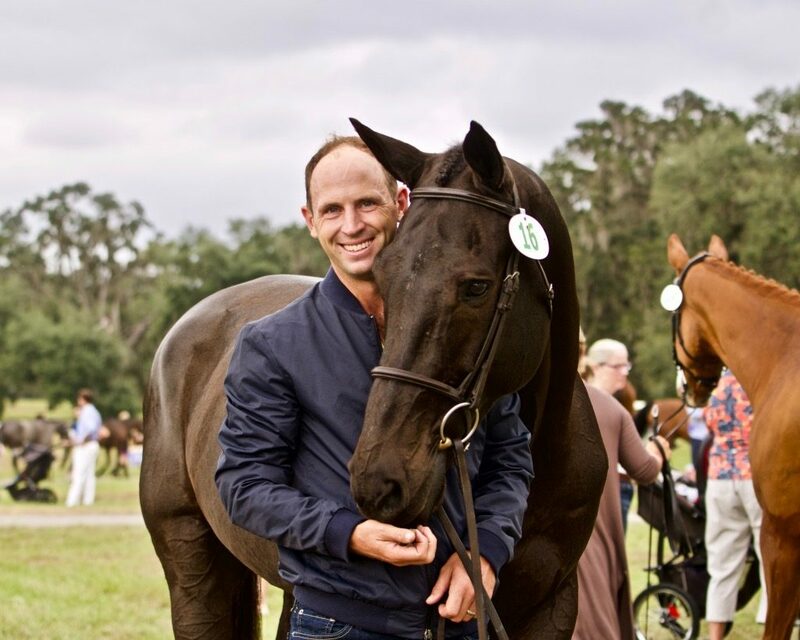 This entry was posted in Uncategorized and tagged dover, dover saddlery, eventing, in the saddle interview, natural horsemanship, tik maynard by Dover Saddlery. Bookmark the permalink.